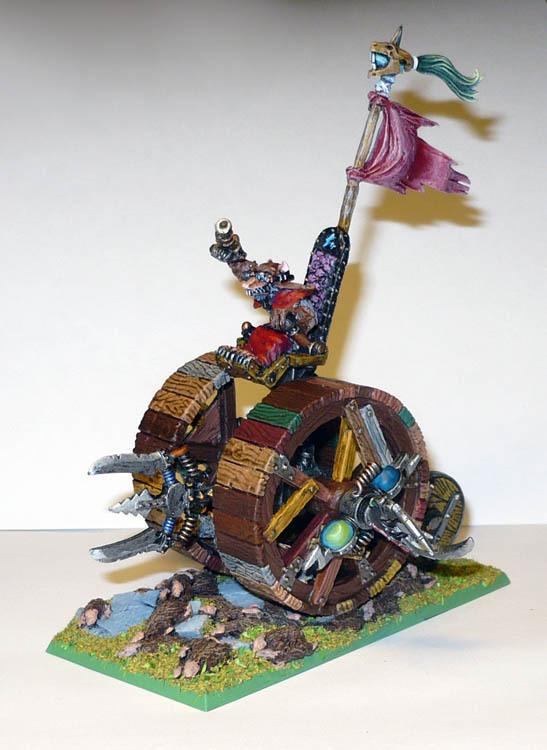 The old metal Doomwheel I got cheap on ebay. The base is a resin of unknown make, it came with a set of assorted metal skaven also bought on ebay. The flagpole is off a metal stormvermin. 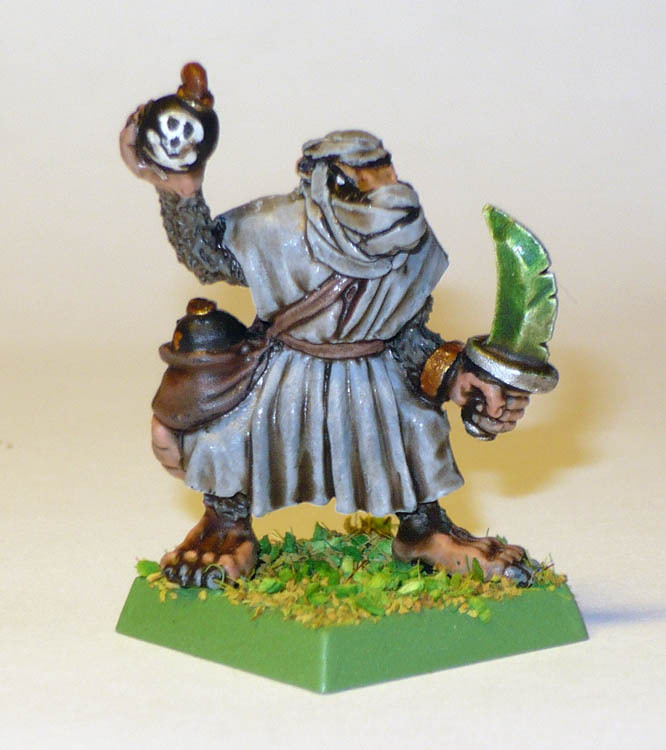 Another excellent Harlequin miniatures Ver’Men. This time an Assassin. This one has been dipped, dark tone quickshade.